Valentines with Frankie Paul and Sheena Reagan! Comedy Club! Comedy club content is of adult nature! Frankie Paul has been touring professionally across the country since 1990. Frankie Paul hits on a vast array of todays topics as well as everyday craziness like marriage, family and common human stupidity! 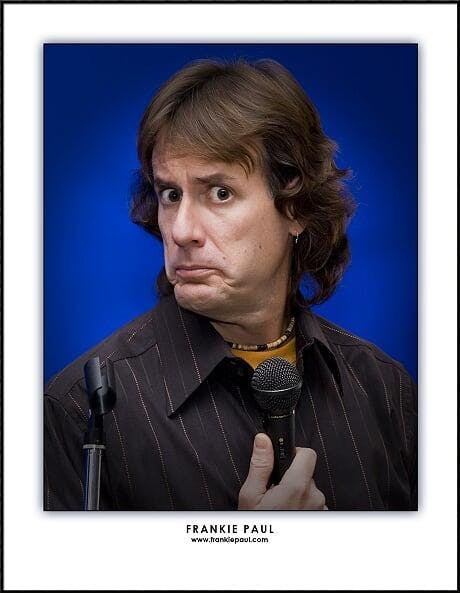 Once you see him, you'll want to see him again at Comedy Club in your town. With lovable animated appearance and a goofball attitude edge, Frankie takes his crowd on a silly roller coaster ride of uproarious laughter. After it's over the crowd is drained but wants another ride. Feature is Sheena Reagan, Emcee is Ben Brainard. Full Menu and Bar available. Dinner Seating 7:00, Show 9:00 pm.